Same unique apple cider vinegar formula now available in orange vanilla scent. 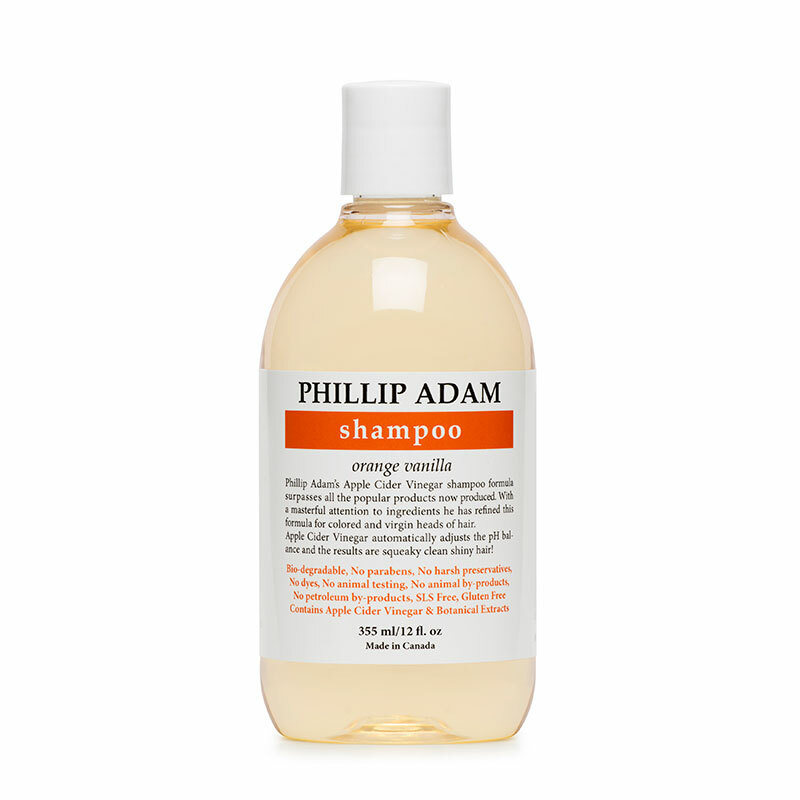 Phillip Adam Orange Vanilla Shampoo adjusts the ph balance and provides the ultimate care for both colored and virgin heads of hair. Powerful combination of pure essential oils and apple cider vinegar restores shine and keeps hair healthy over time. It also works great when applied as an all over body wash. Apply shampoo to wet hair, start by massaging the roots to remove dirt and improve circulation. Drag the shampoo down to the ends and rinse. Use an adequate amount of shampoo, one drop a size of a coin. Finish with a rinse and repeat once again if needed. For maximum effects, always follow with a matching conditioner. Lifeless and dull hair, greasy hair, maintaining pH balance in normal and fine hair.